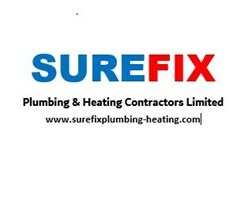 Surefix Plumbing & Heating Contractors Ltd - Central Heating Engineer, Plumber based in Leigh-on-Sea, Essex. We are Surefix Plumbing & Heating of Leigh on Sea. We are a family run business and have been established for over 35 years. We offer all aspects of plumbing and heating both domestic and new build and are SMAS approved. In January 2015 we opened up our offices in Leigh on Sea where customers can come in and discuss their plumbing and heating needs face to face. Please feel free to pop in for some friendly advice, if you have any queries. We look forward to working with you. We are based in Leigh on Sea and cover most of Essex.